For articles explaining why we choose to Be Voices for Life, see the link to the left, "Why Am I A Voice for Life?" According to Catherine, "I cannot tell you how many times Post-Abortive moms, dads, family members or friends, have cried in my arms due to their grief from abortion. Their shaking, crying bodies and tears on my shoulder are something I will never forget—nor run from." She goes on to say that people tell her things like, "No one told me I would feel this way" and "I didn't realize I was killing my baby" and "I wish someone had been there," and "Thank you for being here. I didn't know why I was grieving." YOUTH DAY CAMP & ADULT EVENING CAMP: For more information on attending one of these camps, see the links to the left (underneath the Vox Vitae link). 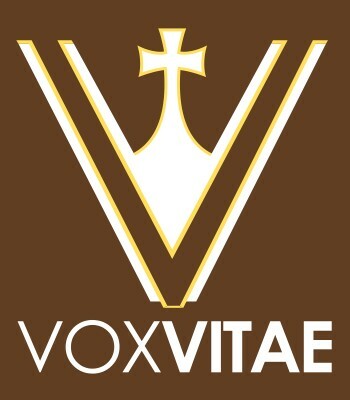 FOR MORE INFORMATION ON VOX VITAE, please call Catherine at the office at (626) 282-2744, ext. 112, or on the Vox Vitae phone at (213) 435-3942 or visit the Vox Vitae website by clicking here X.